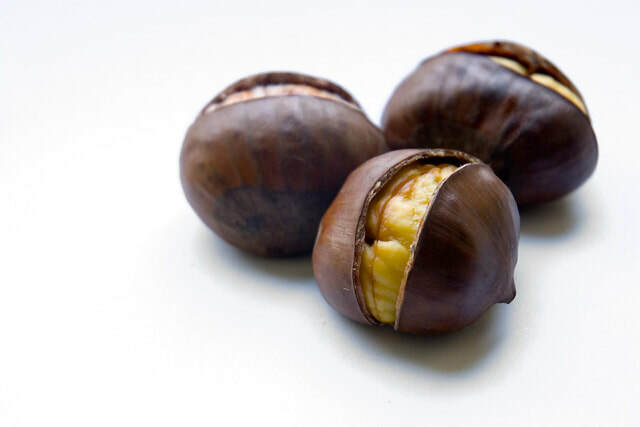 How To Make Your Own: Take raw chestnuts, place in high output blender, food processor, or coffee grinder and grind until fine. Keep a close eye on it because if you blend too long it will turn into chestnut butter. You may have clumps that you can separate with your fingers. Mix chestnut flour, white rice flour, potato starch, and baking powder together in a large bowl. Combine milk, egg yolk, vegetable oil, and honey in another bowl. Sift in flour mixture, whisking constantly to prevent lumps in the batter. Beat egg white in a glass, metal, or ceramic bowl until peaks form. Fold gently into batter until just combined. Pour batter onto preheated waffle iron and cook until golden brown per manufacturer's instructions, 3 to 5 minutes.